If you are facing diabetic problem then i am sure it has been already told to you that fruits are not good for you in diabetes. Someone may be any one from your family or friends stopped you to eat fruits like water melon and strawberry etc as they are sweet so they can harm you but let me tell you its not true. Fruits are always very much beneficial for our health. Many of us are already aware that fiber is there in fruits and with the help of it health problems like Cholesterol and Blood sugar will always b away for our very sensitive heart. Fruits contains huge amount of Minerals and Vitamins like potassium which has wonderful results in reducing pressure of Blood or BP. Only you need to take care about right choice of fruit and in proper chunk. Neglect Fruit Juices and Dry fruits. Always remember that dry fruits are always rich in carbohydrates than natural fruits as flavored sugar is added in it to make it more sweeter. If you tale 2 tablespoons of Dried cranberry, it contains 18gm of Sugar, 100gm of Calories and 24gm of Carbohydrates which is actually equals to 5 teaspoons sugar. Moreover it will be good for you if you avoid juices of fruits. Its has been proven that Level of blood sugar will increase with Juices as fiber will be thrown away from fruits. 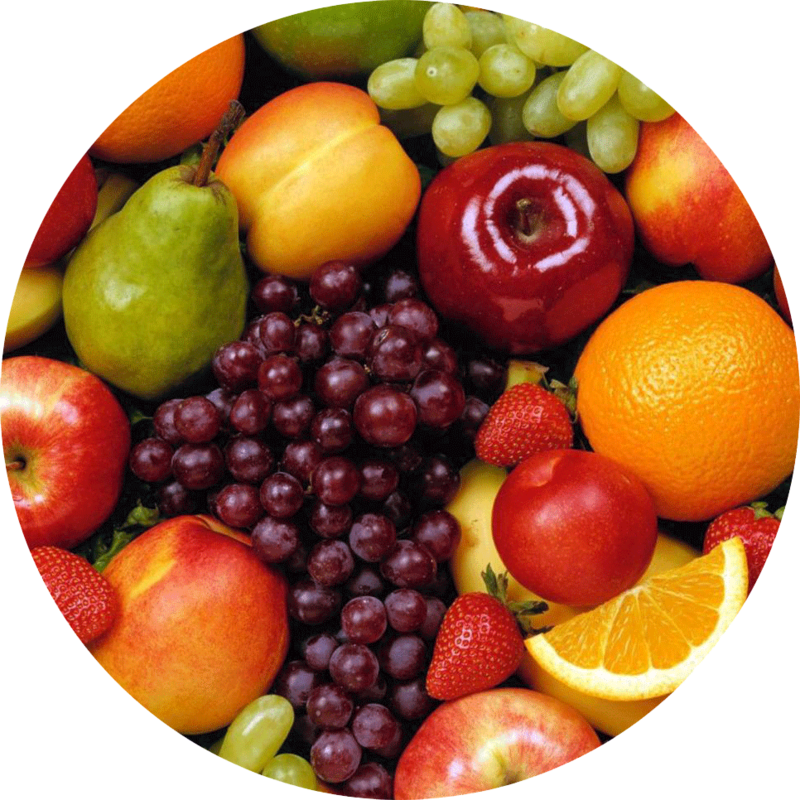 In place of Fruit Juices and Dry Fruits i would recommend to go for natural fruits which contains good source of fiber. If you are following a strict diet plan then you need to check the portion of fruits you are taking because it is source of Carbohydrates. So whenever you can decide to eat one fruit for one meal which should not be more than 2 or 3 times in a day. 15gm of carbohydrate is contained by one fruit. It is suggested by American Diabetes Association that you should eat fruits that contains Lower Glycemic Index which is actually used to determine the rate of increased blood glucose due to food contained carbohydrates. Food is measure on that basis that in compare of food like white bread etc how the rate blood sugar is increased by them. the food with high Glycemic Index will increase the glucose in blood as compared to food containing low Glycemic Index or medium. Except Melon and pineapple rest of the fruits have low Glycemic Index but does not mean that you can never ever eat them. If you see increase in sugar level in your body then would recommend please avoid these fruits. Let me tell you that the same thing i not applied to every person, different foods can be the reason of increase in blood sugar level in their body. May be any ripe fruit can affect your blood sugar level in your body. So in short you always need to take about fruits you are taking. Always take foods and fruits which are healthy for your body. It has seen that in thinking of few people it is always good if we take fruits along with proteins as they will be helpful in reducing the blood sugar level. What i would recommend you to eat Fruits for Carbohydrates into meal and for Proteins take fruits as snack. If, you like my article then please share it and if you have any suggestions, queries or you have something which should be shared with the whole world, Please ask or share via comments or you can directly email me at knowyourlifestyle@yahoo.com.